The patch shield is a cross between a patch panel/bay and a Wingshield. Its designed for times when you want to have remote sensors, or a control panel, or LEDs, or...practically anything where you want to avoid doing a lot of icky wiring! 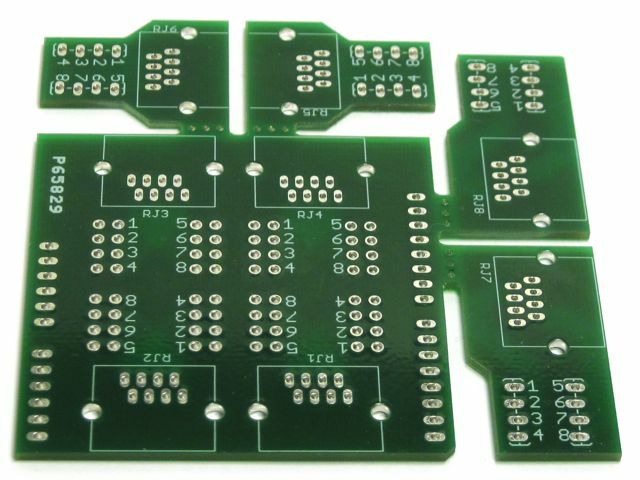 The shield comes with 4 breadboard-friendly satellite headers. To connect, use any off-the-shelf Ethernet cable. On the shield itself, the sockets act as a patch bay so you can quickly try out different wiring schemes. We think this design will come in handy! For more information, including instructions, files, tutorials and examples please check out the product's website!